Your pants are a bit tight, you can’t seem to stop eating junk, and you’re tired all of the time. It’s time to get healthy and lose weight. Combined with a more sensible diet, an exercise bike can help you achieve the results you want. So many people go wrong here. Forget fad diets, forget starvation. Slow and steady wins the race. Try changing one thing about your diet. Limit yourself to one soda a day. Stop skipping meals. If you always clean your plate, start leaving one or two bites. A total change in diet is work. If you go for a radical change, you are setting yourself up for failure. You’ll be surprised how well small changes work. This is a critically important part. There are literally hundreds of exercise bikes available. You have to be honest with yourself to discover the one that will work best for you. If you talk yourself into some fantasy world where your exercise plan is going to work this time even though there’s nothing different, you’re going to be disappointed. If you think ahead, you will buy the right bike for your needs. You will end up with a successful long-term exercise routine. Think back to your last exercise routine attempt. Why did you stop? Did you suffer an injury? Did you get bored? Was it just too hard to do every day? Was it hard to find the time? Answer these questions truthfully. If you don’t figure out where you went wrong, you won’t be able to come up with a solution. If an injury caused you to stop working out, how did you sustain your injury? Becoming physically fit is supposed to help you prevent injuries, not cause them. There is an exercise bike for someone who has been injured working out. It’s called a recumbent exercise bike. It’s the kind found in a lot of health clubs. It has a large, bucket seat, and you sit back and low to the ground. It is perfect for people beginning a new exercise routine. It’s also very good for back problems as it forces you to keep good posture. It puts no pressure on your joints, and you can keep working out even if you have minor injuries. Did you get bored the last time you tried to workout on a regular basis? If you did, you are likely to get bored again. With exercise bikes, the solution is usually a bike with several different levels and riding programs. You can get bikes with different difficulty levels. This means that when it becomes too easy for you to pedal, you simply move up to the next level instead of having to ride longer (which just isn’t likely to happen for the person who is easily bored). You can also get different programs. Programs give you variety and goals. They make you pedal harder, simulate conquering hills, and even sprinting for short periods. Riding programs might not be enough for you. You might need a bike that you can hook up to your television that simulates riding through different courses. You can take a leisurely ride through a park or compete with other computer riders on a difficult obstacle course. These bikes might cost more up front, but if you don’t invest in a bike that will let you sustain your workout, you’re wasting money on anything less. The coolest thing for game addicts who get bored is an interactive bike that plugs into a Sony Playstation or Playstation 2. It makes over 50 games interactive. Whatever is happening on your bike happens on the screen in bike, car, and similar games. There are all types of similar bikes available. If you plan on listening to music or watching TV while you cycle, be sure to pay attention to features that will make the exercise bike quieter. It’s also a good idea to get a quieter bike if you live with other people. For all you know, your workout time is going to be 5AM or midnight. A quieter bike won’t disturb other people in your home. People beginning exercise programs are sometimes too ambitious. It’s good to be excited, but you have to remain realistic. If your last exercise program failed because it was just too much work, don’t make the same mistake again. Fight the urge to overdo your first workouts. It is critical to your long-term success that you start out slow. If you go from no exercise at all to 5 to 10 minute exercise bike workouts with little resistance, you are much more likely to avoid injury, soreness, and most of all, early feelings of defeat. If you aim too high – expecting to go from a sedentary lifestyle to 45 minute workouts immediately, for example – you are setting yourself up for failure. When you don’t reach your unattainable goal, it is more likely you’ll quit altogether to alleviate the feeling of failure that much sooner. The perfect bikes for people who get a bit over-excited are exercise bikes with built in riding programs. You simply start out at the lowest level, and the bike determines your workout. You program in a small goal (10 minutes, 50 calories, or .25 mile) and when you reach that goal, your workout is over. You do have time to burn fat and calories on an exercise bike. No matter how intense your schedule is, there are people busier than you who find time to make an exercise routine work. They are not better than you. They don’t have more than 24 hours in a day. They simply figured out how to make it work. You can, too. It can be as simple as the time of day you chose to workout in the past. There is scientific evidence that people who are “morning people” or “night owls” are physically different. Different people have energy at different times. Think about when you work best. If you wake up without an alarm clock ready to go, you should exercise first thing in the morning. If you are a night owl, you should consider working out at night. You might find that you are one of the people who tire yourself out enough with a night workout to sleep like a baby. Losing weight is not a punishment. You are smart enough to know how to eat a little better and become more active. If you are honest with yourself, you will choose the proper bike. You want to look forward to the workout itself. Don’t get caught up in which bike burns more calories. 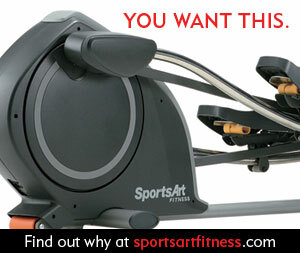 Find an exercise bike you will enjoy riding. Figure out the time of day that’s best for you to exercise. Make it like getting dressed or bathing – it’s just something you do every day. You don’t have to train for the Tour de France. You just have to get on and do something every day. Ten minutes a day will yield results. Bookmark this article for future motivation, find your exercise bike, and get busy! Gym Equipment – which machine works best? © 2018 theme8.sitegap.com. All rights reserved. Created by Sitegap.